One of the unfortunate consequences of hosting big businesses is the crowding that comes along with them. 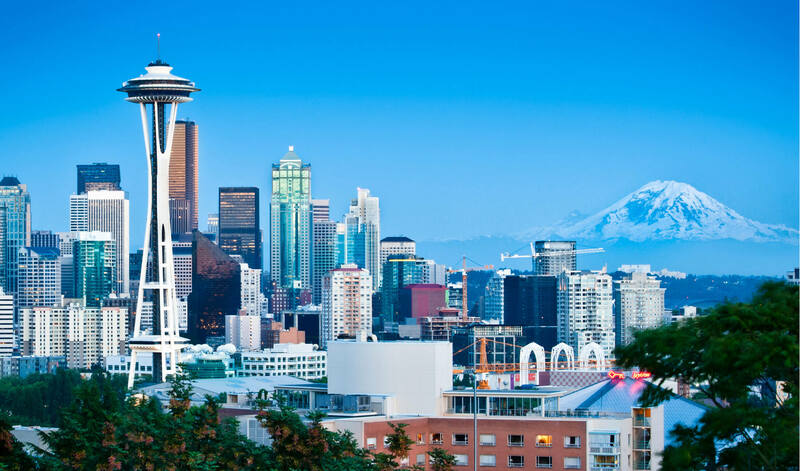 In the Seattle, Washington area, homelessness and the working poor are problems that should not be so widespread in an area where high paying jobs are aplenty. To help rectify the situation, Microsoft is pledging $500 million to help with affordable housing within the Puget Sound area. Microsoft's goal is to contribute to building "tens of thousands of units," according to President Brad Smith. At exactly 10,000 dwellings, that breaks down to $50,000 per residence. If Microsoft intends to reach its goal, there is a greater chance that it will extend moderate support to many projects instead of footing the entire bill for selected construction. Funding will be split into three different pools. A $250 million allocation will target support towards low-income families earning less than $62,000 per year in the form of market-rate loans to finance construction. Another $225 million will go towards preserving and building housing for families earning up to $124,000. Although that may seem more on the end of affluent, rent averages $21,360 annually, and that is just the average. Buying a house is difficult for those that are not making a lot of money. The remaining $25 million will be reserved for future philanthropic gestures in the region. So far, $5 million is expected to go towards legal defense efforts, co-sponsored by the Seattle Mariners baseball team, to assist tenants facing eviction. Another $5 million will be used to consolidate services for homeless residents. This donation towards the city of Seattle marks Microsoft's largest ever pledge in company history. However, with more than $135 billion in cash and short-term investments available and excellent examples of generosity from the original founder, there is plenty of opportunity for future development as well. On the surface this sounds like Microsoft has a conscience. But then I suspect that the reason there is a shortage of cheaper housing is MS itself attracting so many well paid/educated people to the area, forcing up house prices which eventually excludes buyers at the bottom end. We in UK have watched a similar effect in the housing market. Affluent high flyers buy second homes in rural less well off parts of the country. If enough people do this it pushes prices beyond the reach of the locals pushing many into poverty and homelessness. The ugly side of capitalism. So, we are now seeing HUD for Microsoft workers ...... impressive! I live in Seattle and experiencing this housing shortage first hand. It's not just MS, but also Boeing and mainly Amazon who have brought in tens of thousands of new workers in a short period of time. And following them are thousands of homeless people who go where the money is (along with the liberal, hand-out local government we have here). You have a good point, but I don't see a lot of people buying one expensive home, then a second one in rural areas locally depriving others of purchase opportunities. Dual home owners are a rarity around here. And when they do, the second home is typically completely out of the area like in sunny places like Arizona or New Mexico to escape the dreary Pacific NW winters. We call them "snow birds." Housing shortage is a serious problem around here due to the super-rapid influx of workers and MS's contribution is very welcome. At this point, any housing is good housing. ...The ugly side of capitalism. I think of it more along the lines of greed. If people weren't so greedy prices wouldn't be driven out of reach but there are many people who will take advantage if it is available for the taking. Deciding whether or not this is moral or ethical is another discussion, but it is greed none-the-less and it has had a huge effect on society and life in general. Why not have MS buy the houses/apartments/condos outright for people, and then have the owners pay the costs back to them at a reasonable payment/interest amount that they can afford based on their incomes, and adjust it every 2 years or so if the homeowners start making moar or less money ? The good PR, plus the interest earnings, will more than cover the costs of the program in a reasonable timeframe too... a win-win-win situation for all concerned. Apparently, Microsoft is feeling quite generous this time. 2-1/2 years ago they tried giving Bolivia 100,000 chickens, which Bolivia refused. What's 100,000 chickens worth? I have a housing idea too. Build a metro system under Seattle but instead of using it for transportation, use it for housing, like in Metro 2033 game. If post apocalyptic Russians can live in metro, why poor Americans cant? At medium home price of at least 650k, $500 million is only good for 770 houses assuming there is no other operating costs or commissions to pay. In reality, it would be much fewer. And condo are not much cheaper in Seattle. MS' goals is to motivate developers and other private/public entities to join them as well for longer term solution. Let's hope that it works. Interesting. I had to look that up. Actually, that was from Bill Gates and not MS. And apparently, the Bolivia government was offended by it and declined the offer. They could have declined more gracefully. At least Gates had good intention from what I can see; he and Melinda Gates have done a lot of good in the last decades for many who need help.